When I look at the before picture of this desk I can’t help but think ANYTHING would look better than the hunter green, dark red, and yellow combination. Yuck! But every piece has potential, you know? I loved the shape of this desk and the hardware. I finished the desk in ASCP Paris Gray and didn’t distressed at all. Sometimes I really like the CLEAN look on a piece of furniture. I spray painted the original hardware black and the complete look was sophisticated and polished. As I kept looking at the piece I couldn’t help but feel it was missing something. That something was a POP of color! 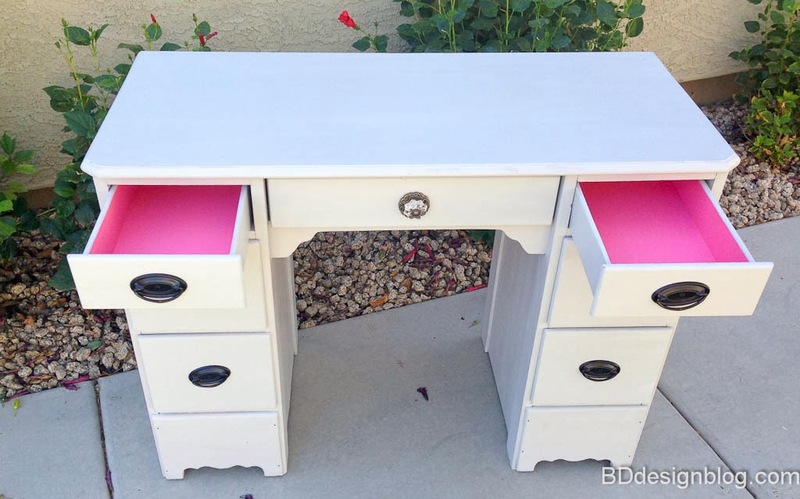 Hot pink was the perfect color choice for this gray desk. 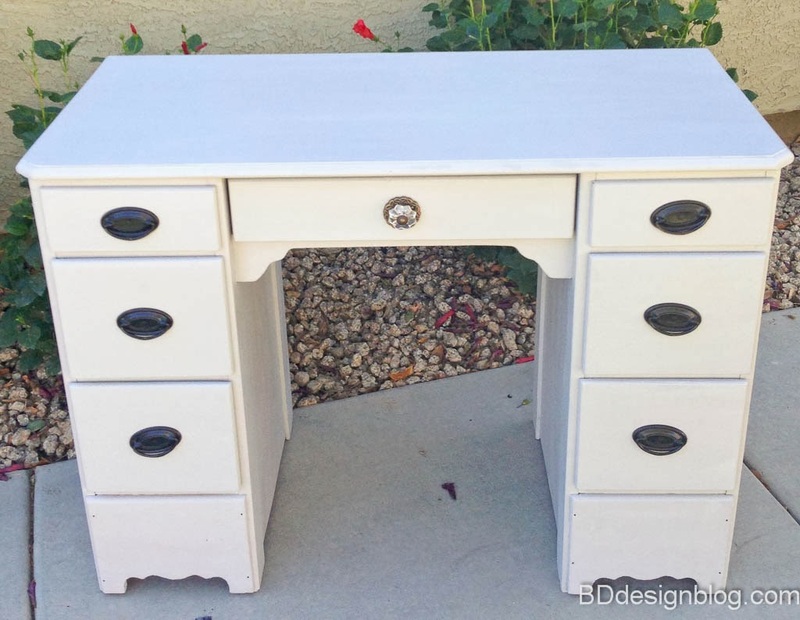 This desk already sold but I can do the same look on any other desk if you are interested.